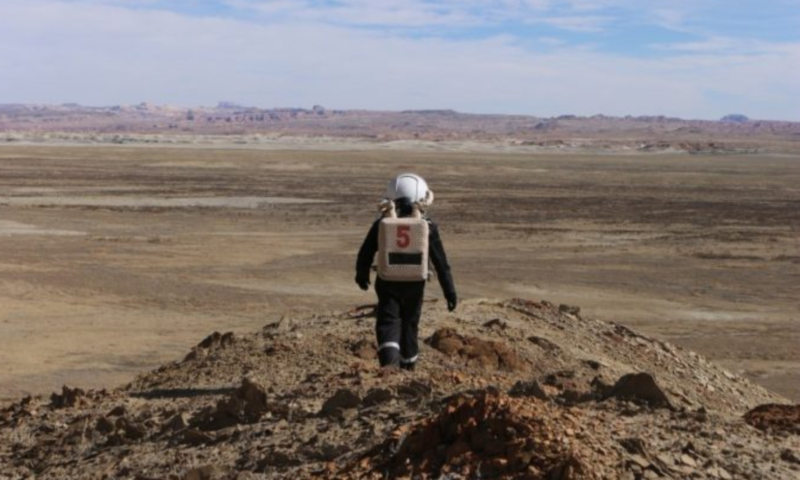 Apart from each crew member’s experiment, there are many things to do at the MDRS. Cooking, cleaning and the usual chores are of course part of the job, like in any shared living space. 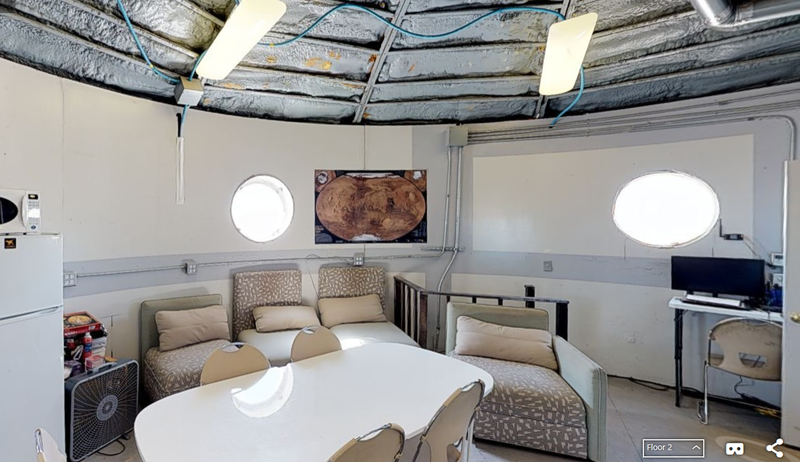 But the MDRS being quite a special place to live, as it is, after all, located on Mars, there are additional and essential tasks that need to be completed every day. Taking care of the GreenHab and its plants is an essential one – indeed, they are our life support, producing both our food and our oxygen, and they therefore require exceptional care. However, the MDRS is a complex system, with many variables. If one of them fails, the whole station’s well-being is compromised. The role of the crew engineer, Bastien, is therefore also essential : every day, he checks all the systems, machines, reservoirs, electrical devices, batteries and engines, inside and outside the station, that allow its optimal functioning. His is truly a full-time job. And despite this, Bastien has been involved in quite a serious and time-consuming project of aerial 3D cartography. With his drone, and a computer program designed for this purpose, he has been criss-crossing rectangular areas of terrain, taking dozens of pictures from all angles, which are then automatically recombined in a tedious hours-long process, giving a 3D map of the area, which can then be assembled with surrounding maps to create maps of whole regions. Michael, our XO and an operations research specialist, has also been working quite hard : his main project concerns something called robust planning under uncertainty, which means that he has been working on a dynamic, adaptable, and predictive schedule for the whole crew. This planning program, coded on his computer, has been designed by Michael from scratch and is still getting improved day by day. Indeed, the point of such a program is to adapt the schedule to unpredicted (and unpredictable) events that slow down or accelerate a particular crew member’s experiment. Since all experiments are related in some way (by equipment, place and/or time), a change in one experiment will often impact many other experiments – this makes for quite a complex system, which needs to be updated daily. Michael has therefore been taking daily notes of our progress, and integrating them into his program to generate the next days’ improved schedule. As you may think, Michael is quite the computer enthusiast. You can imagine his delight when he realised that the small remote-controlled linux-powered rover called Phoenix, made by members of the NorCal Mars Society, didn’t work and needed troubleshooting. Yesterday evening, he got down to understanding where the problem was, and started working in a trance-like state, measuring voltages, connecting cables and reading and writing code that seems like gibberish to the untrained eye. In the end, he understood that the problem was two-fold : on the one hand, the rover’s internal clock was unsynchronized with the clock of the computer which controlled it, a simple but hard to detect error. On the other hand, there were some battery issues which needed to be resolved, and after 24 hours, the rover was finally set free in front of the base this afternoon, where it performed some test loops. We are now fully equipped, with Bastien’s drone and NorCal’s rover, to inspect the station from the outside without having to go through the tedious process of getting fully suited up and going through a decompression period in the exit vault. 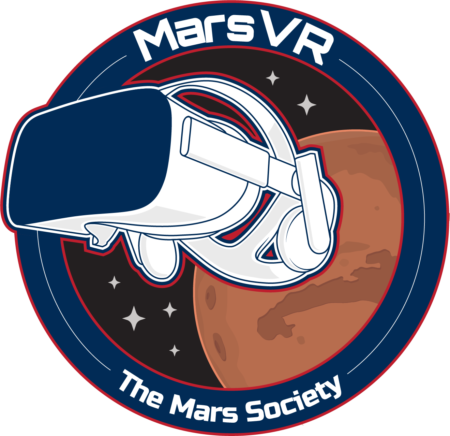 Another step forward for our Martian colony!